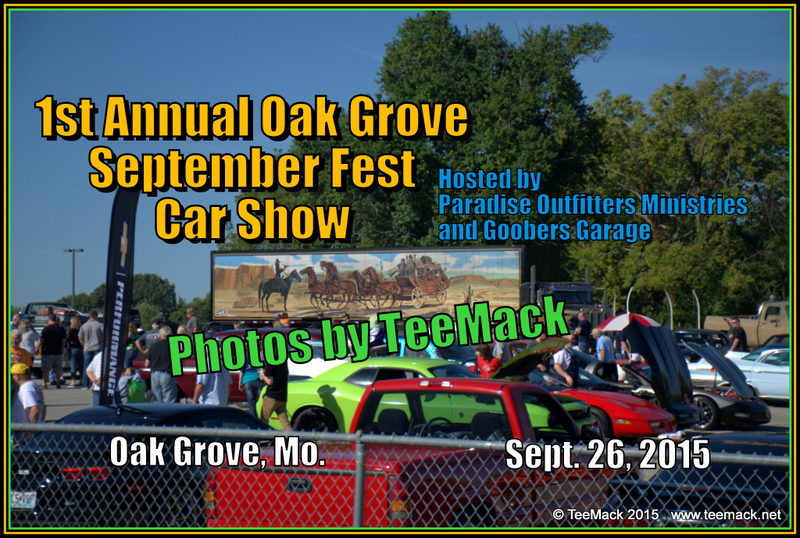 The 1st Annual Oak Grove September Fest Car Show was held on September 26, 2016. 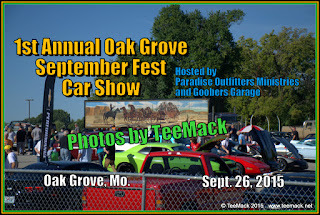 The annual show was hosted by the Paradise Outfitters Ministries and Goobers Garage. The show was open to all vehicles. Some vehicles travel up from Ft. Worth and Dallas, Texas to attend the event. Quite a few TV and Movie Vehicles from the Kansas City area were also on display. Among the honored quest was Tom Smith of the Misfits Garage. There was approximately 150 vehicles at the show. The weather was fantastic with temperatures in the low 80s. Click here to view photos of the Car show.